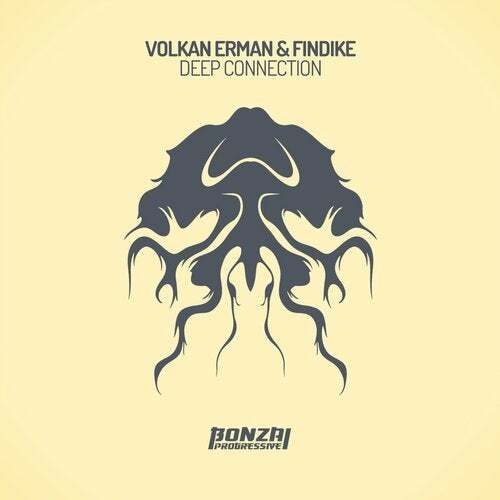 Turkish DJ and producer duo Volkan Erman and Findike aka Emrah Findik debut on Bonzai Progressive with the superb Deep Connection. Volkan is no stranger to BP as he has appeared on the label under his Quantus guise back towards the end of 2015 with Pass Through Time EP and on remix duty for Nico Parisi's Raklet at the start of 2016. Findike released his first track back in 2014 on By Ground Digital and since then he has racked up quite a few cuts on various labels. Great to see this duo getting together and we hope to see more from them soon. Deep Connection opens with a cool punchy kick drum and tribal fuelled drum arrangement that delivers a spritely rhythmic groove. Thick probing basses come though and the track settles into a solid progressive workout. Swirling pads float overhead as the bass ramps up the pressure and the intensity rises. The break throws up a sublime melodic sequence that mesmerizes the mind before we get slammed right back into full on mode for the duration. Superb stuff you do not want to miss. Copper Mind goes right into a full on progressive groove from the off as big chunky kicks dish out a powerful punch alongside shuffling hats and a super cool bass. Over the top we are treated to lots of interesting sounds that blend together beautifully creating a sublime progressive experience. A myriad of melodies interrupt the solid prog groove in short bursts, enough to keep our attention locked on. Top notch grooves for the late night floors here, a must have track no doubt.